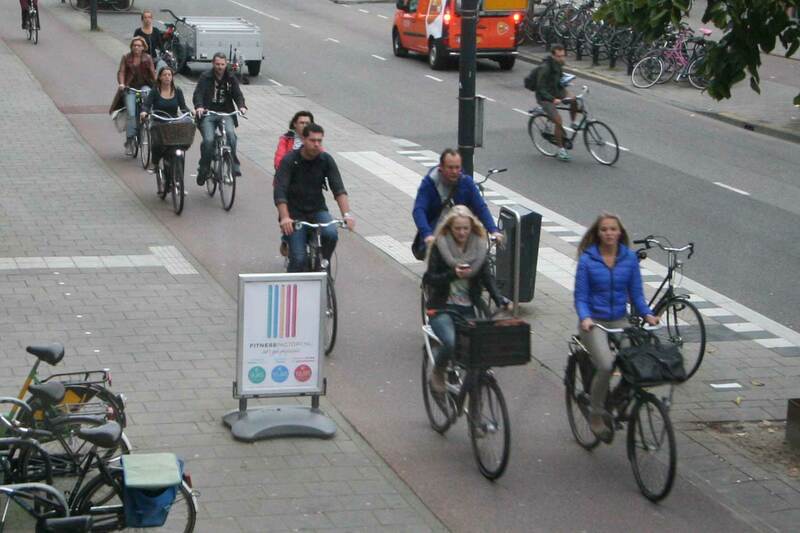 Did we say we were about to hear about the Mini-Holland bid? That’s due on 10th March, and it’ll be followed by the Cycling Liaison Group meeting, where you can come and hear what the council’s planning to do if we’re successful in the bid, but also what they’re going to do if we haven’t been successful. Our monthly meeting is at the usual venue – the Old Ship in Richmond – at 8pm on 17th March (Details here: http://is.gd/eahg52) Note we’re a week later than usual, because of the Cycling Liaison Group Meeting. The ‘Kew Village Plan’ is also up for review. There’s a document link at the bottom of the consultation, on this page: http://is.gd/9c7i6v Their big idea is to remove the bus lane on Kew Road off-peak, in order to deal with congestion. 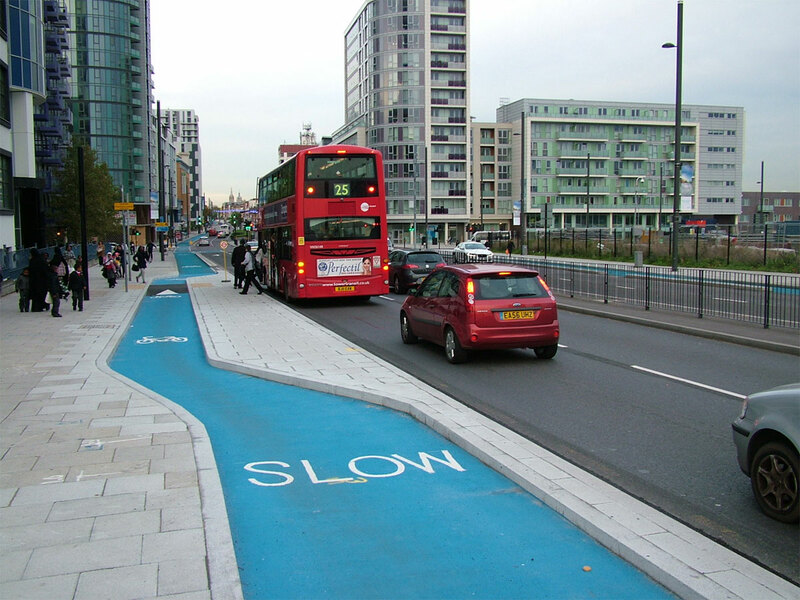 We don’t think the bus lane causes congestion off-peak, so it would disadvantage those already brave enough to cycle down there. Please take the opportunity to tell the council they could really do more to encourage cycling in the area! Also, Whitton Supplementary Planning Review – http://is.gd/U6NMku This fails to talk about making things more pleasant for either cycling or walking, so we’d urge you to point out just how much space there is here for cycling, and how any new developments need cycling provision included. On the 22nd March, a Ride for Everyone: Hampton Court and the Thames from Teddington Station leaving 10.20. And, if someone can step in to help, we’d like to run an April 6th Ride for Explorers. Our ride leader’s in recuperation, so not able to lead this one – please get in touch rides@richmondlcc.co.uk – if you can help! This has now been moved to 11th March, so that the CLG will be able to discuss the outcome of the borough’s Mini Holland bid. Details are here – http://is.gd/gqQg34 – although it’s a sad reflection of the commitment to cycling that the CLG has once again not met for nearly five months. Come and join us to find out how the council will spend new money from the mayor, and maybe have a cycling budget of its own! If you’re thinking of going to your local Liaison Group to represent the interests of people who want to cycle, let us know, and we can share some tips! Another funding round that came through a few weeks ago was a separate pot of cash that Transport for London distributed. Whilst some boroughs requested (and received) hundreds of thousands of pounds, Richmond asked for a grand total of £5,000 (see http://is.gd/Aobmvw). We think this is symptomatic of the borough’s failure to consider cycling, but it also gives the lie to our Cycling Champion’s claim that she’s been working hard to secure central Government funding for cycling in Richmond http://is.gd/824AOH. 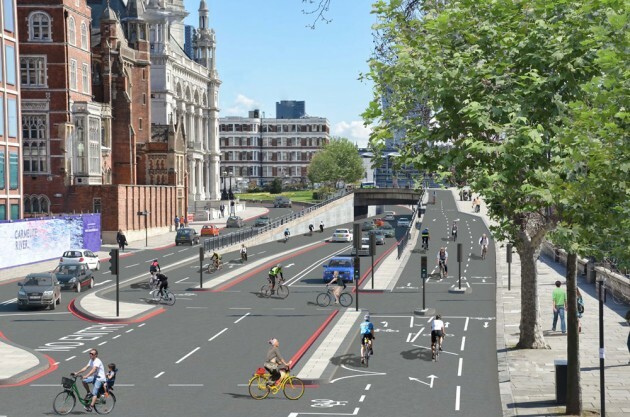 Richmond MP Zac Goldsmith is doing a survey to better understand how we feel about cycling, so please hop along to tell him what you think here – http://is.gd/eh9pkA. 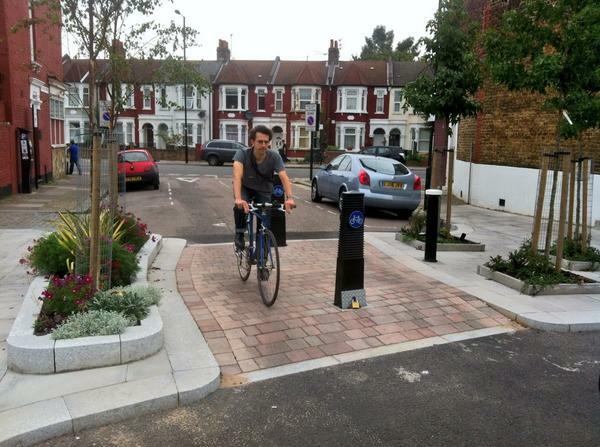 And you can tell Lib Dem candidate Robin Meltzer about cycling here – http://is.gd/5fHwpt. 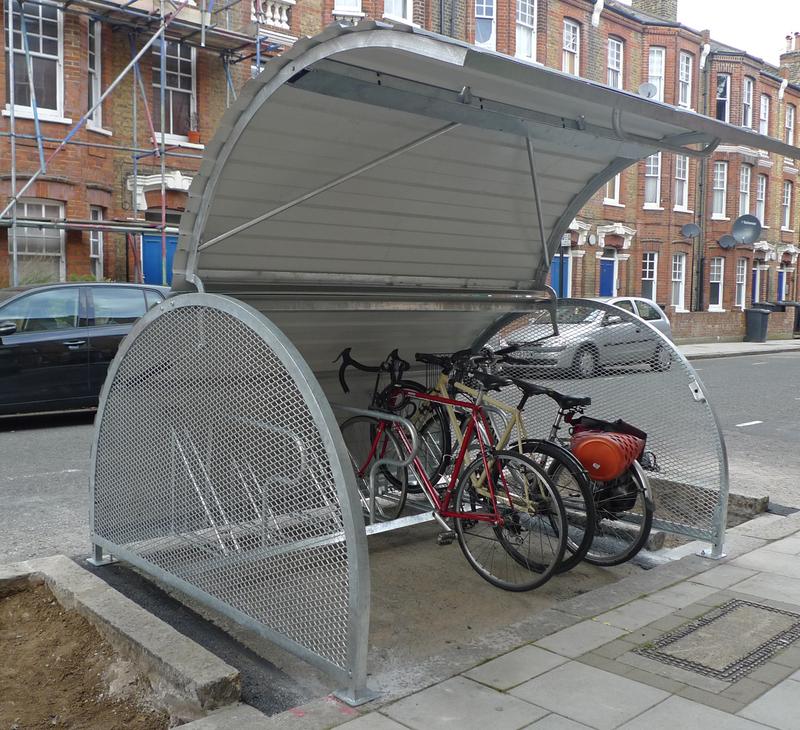 Once a month, we send out an email update on cycling in the Richmond Borough. If you’d like to sign up for these, contact us here to be first to hear the cycling news that affects you across the borough. 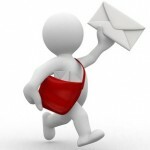 We also post the newsletters here on our website the following week. Read below and enjoy! Previous newsletters can be found here. Welcome to 2014 and as ever, many have been dusting down their bicycles and getting out and about as part of their New Year’s resolutions. Let’s home they stay the course. Monday see our annual meeting – a chance to get involved in this important newsletter year (and maybe even take over crafting this newsletter) We have results from LCC’s survey of cyclists’ priorities for Richmond and the usual round up of rides, workshops and consultations. Here’s to 2014 being a year of change for cycling in the borough where it is taken seriously as more than just a leisure activity but a viable means of getting around and making our borough a nicer place to live in. We aim to organise a long (30-40 mile) day ride on the 1st Sunday and a short-and-easy (6-10 mile) morning ride on the 3rd Saturday of each month. If you have an idea for a ride or even better would like to lead one please contact Paul on rides@richmondlcc.co.uk. As we highlighted in last month’s newsletter, LCC carried out a survey at a borough ward level to identify the key local issues for the 2014 local elections. Well the results are in and there was an overwhelming response from our borough, with someone from each of the 18 wards responding. Right across the borough, the same priorities were chosen (which aligned very closely with the work we’ve been doing this past few years) with ‘Protected space on main roads and major junctions’ coming first, followed by ‘Safer routes for school children’ and ‘Liveable town centres’ (think Twickenham!). Summer is truly gone so we’re back with a bumper newsletter to keep you company on the cold nights. A lot has happened these past few months and much more is coming over the next few months that will have a real impact on your safety on the streets and roads of the borough, so read on. There are many small ways you can join others in contributing to making our borough an even nicer place to live and cycle, whether taking two minutes to respond to a consultation or dropping an email to your Councillor. Members of RCC were out in force at two council meetings last week – the Cycling Liaison Group Meeting and the Environment, Sustainability and Community Overview and Scrutiny Meeting. At the latter, two local parents made presentations, describing their difficulties and frustrations over their attempts to allow their young children to cycle to school safely. They were subjected to some pretty hostile questioning from the Councillors present who argued that there was no space for safe infrastructure (they need to read this – http://is.gd/xvpflb – part of this excellent expose of the myths and excuses why safe cycle infrastructure can’t be provided – http://is.gd/gdT0d1) and somehow derisive references to Bradley Wiggins was somehow felt pertinent to children cycling to school. It was an eye opener to the attitudes of some councillors (from both main parties it has to be added). This newsletter covers both July and August so we can have a month off crafting a newsletter and enjoy cycling in the good weather instead! So summer arrived and went again, but we had a lovely few weeks of long days cycling in the sun. This month it’s a double newsletter covering July and August and we’ve made it a bumper consultation edition to capture all those issues that will impact your cycle across the borough (and beyond). It’s your chance to make your voice heard. There’s also news of this Saturday’s Feeder ride to London Freecycle – we hope to see many of you there to join in the fun. A raft of consultations affecting cycling both directly and indirectly across the borough. Please, please, we really need everyone who reads this newsletter to take 2 minutes to reply to these consultations. Every response counts as you can see further down on the responses to recent consultations. First up is Twickenham town centre, and if you only do one campaigny thing for cycling this year, then take 1 minute to fill in the simple tick box online consultation. Proposals include a 20mph zone in Twickenham town centre and opening up Holly Road as a cycling contraflow to avoid the busy and dangerous London Road/King Street intersection. Both are big steps forward and need as much support as possible to demonstrate the support for improvements for cycling and for wider demand for 20mph zones across the borough. They’re not the full picture (see below for our update on the Twickenham town centre) but a big positive response sends a strong message and is needed to counter certain people set against cycling who are out to scupper anything that benefits cycling. Yes, it’s Bike Week but for most of us, we don’t need a special week to get us out on our bikes. Lots of news again this month, including a consultation that expires today, so don’t delay! Along with that, an update on the London Road cycle lane in Twickenham, a meeting on 20mph limits and what sounds like an exciting event in Teddington next month. 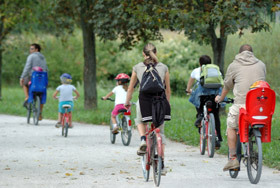 No new consultations affecting cycling this month on the council’s consultation page (http://is.gd/JnijLg). During the month, we heard of a consultation, now closed, to block off part of the River Crane path in the borough of Hounslow. We put up a post on our website and highlighted the consultation on Twitter and Facebook and many of you registered your objections – http://is.gd/06nJ8c A big thank you to Friends of the River Crane for highlighting this consultation to us. Another month and yet more to report on cycling across the borough. We’ve a ride tomorrow to Richmond Park, perfect for families, and a consultation from TfL (which runs out today so be quick!). More on our tool to record all the niggles from your cycle routes and good news on Chalkers Corner. Enjoy and please do share with your cycling friends – anyone can sign up for this newsletter, you don’t need to be a member of LCC. As mentioned last month, we have started working with a new online campaigning tool called Cyclescape. Now, with the upcoming consultation for Richmond’s Local Implementation Plan for transport and the renewed enthusiasm of council officers to consult with cyclists, we have a real opportunity to use it to influence decision makers with a structured body of evidence cataloguing the issues and constraints that need to be addressed if we are to truly “Get Richmond cycling”. So the clocks have gone forward and long sunny evenings are finally with us after all that cold weather. Yet another bumper newsletter, hear about our ride (tomorrow) to discover a hidden borough gem and what we hope is a sea change towards cycling by the council. An update on our campaign push on cycling to school and a new tool to record all your niggles from your local routes. Enjoy and please do share with your cycling friends. A great ride this weekend to take advantage of the better weather and explore hidden parts of the borough on your doorstep. Why not bring a friend who’d like to get out on their bike more. Meet at Richmond Little Green (by Richmond Theatre) at 10.30am. If you’re joining us, send Paul, our Rides Coordinator, an email at rides@richmondlcc.co.uk so we know you’re coming. Well, we were hoping March would bring warmer weather, but at least the days are getting longer every week. This month we’ve lots on the campaign front, with Boris’s Cycling Vision and the local impact, while it’s business as usual for the council and TfL in their consideration of cycling locally. An update on our campaign push on cycling to school and of course the usual round-up of rides and workshops. Enjoy! Brrr! That’s the general assessment for this month. But don’t let a bit of snow get in the way of getting out on the bike, it doesn’t stop the Danes or the Dutch! This month we’ve feedback from the Annual Meeting in January (with lots of new faces), a campaign push on cycling to school, consultations needing your input and cycling in the snow!